With the win over Yale, Harvard has secured the first automatic bid to March Madness (photo credit: Rose Lincoln, Harvard Staff Photographer). Someone once left a comment on one of our blogs asking why we write about Ivy League sports…we’re supposed to be an Ivy League admissions consulting firm. Well, hello, some of our students are recruited athletes at Ivy League schools for starters. And we don’t just write about college admissions. We write about the Ivy League as well in addition to other highly selective colleges. What the gentleman who wrote that comment didn’t realize is that, say, Harvard advancing to the NCAA Tournament can have a major impact on Harvard’s admissions statistics next year. Yes, you read that correctly. When Duke advances far in March Madness, many more students tend to apply. When Coach K’s team falls short in one of the opening games, Duke’s admissions statistics the following year suffer. As a case example, remember when our friend Jim Larranaga (now the basketball coach at the University of Miami) led George Mason in stunning fashion to the Final Four? Well, read about the impact of that Final Four run on the school’s admissions statistics the following year. Heck, Brian even secured Jim’s life rights and with the writer of “The Replacements” pitched the movie around Hollywood. That one didn’t happen to sell but if it had, what a boon it would have been for the university’s admissions stats. They would have gone up even more. 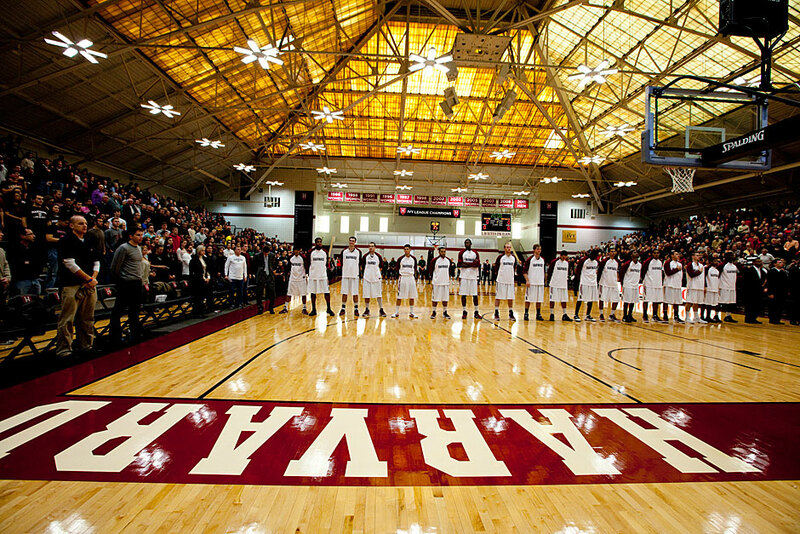 Today, Harvard University beat Yale by a score of 70-58 to claim the Ivy League men’s basketball title outright. Remember when Princeton and Penn used to be the only schools to represent the Ivy League in the NCAA Tournament? Those days are long gone. Harvard and Cornell have both made the field in recent years and we happen to think that Harvard — the school that graduated Jeremy Lin of the Houston Rockets — could make a little run this year. Anyhow, with the win, Harvard becomes the first team to officially make the NCAA Tournament this year as the Ivy League has an automatic bid and no conference tournament. Congratulations to the Harvard men’s basketball team!